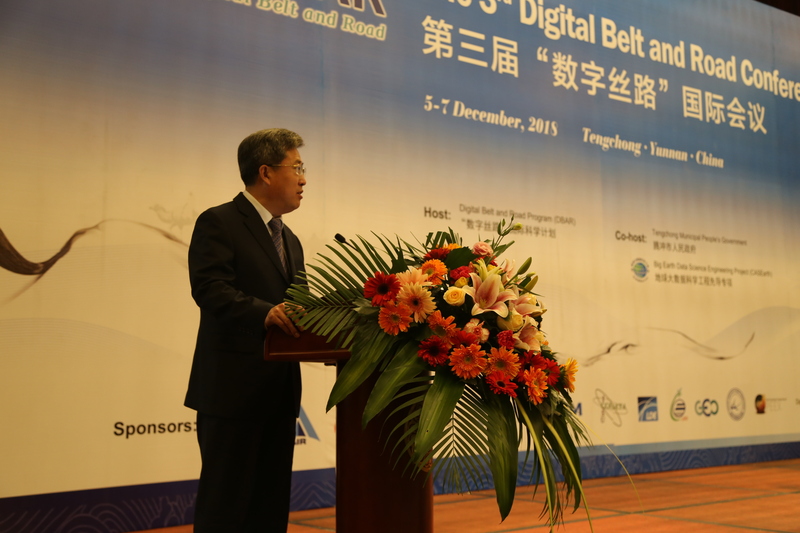 The 3rd Digital Belt and Road Conference inaugurated in Tengchong on 5th of December 2018. 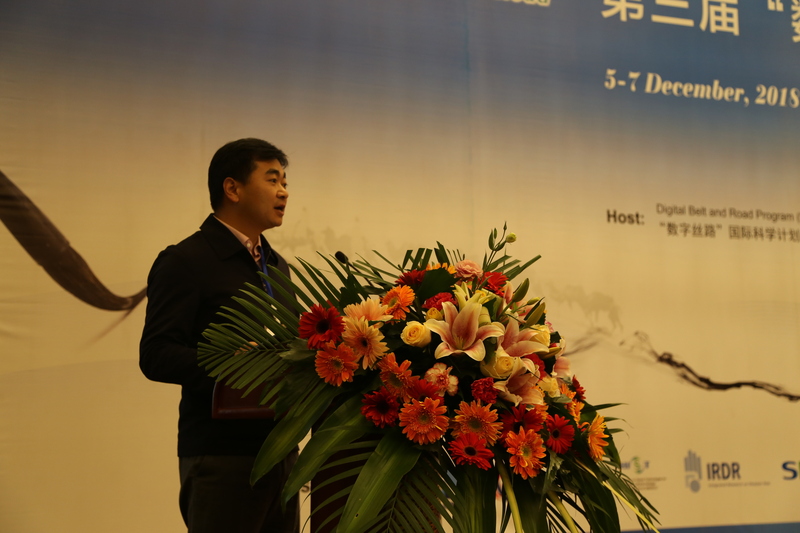 This conference was hosted by DBAR and co-hosted by Tengchong Municipal People's Government and Big Earth Data Science Engineering Project (CASEarth). The opening ceremony was attended by more than 300 people, representing over 40 countries from all major continents. The conference was also co-sponsored by international organizations such as UN Environment, Group on Earth Observations (GEO), International Society for Digital Earth (ISDE), Pan-Eurasian Experiment Program (PEEX), International Centre on Space Technologies for Natural and Cultural Heritage (HIST), under the auspices of UNESCO, Integrated Research on Disaster Risk (IRDR), Committee on Data for Science and Technology (CODATA) etc. 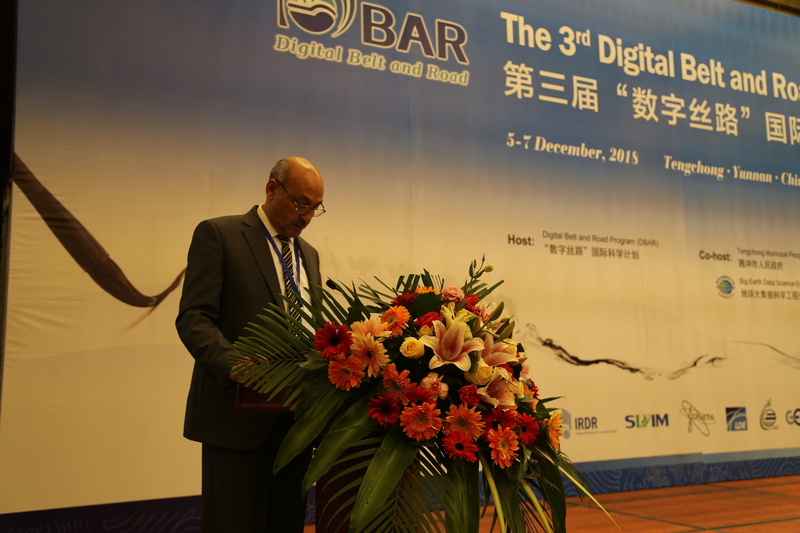 The 3rd Digital Belt and Road Conference marks the beginning of the critical first implementation phase of the DBAR Science Plan that was approved in December 2017, following wide consultation with the Earth observation community for over two years in series of meetings in Asia and Africa. The DBAR Science Program has successfully completed all of it objectives in the Preparatory Phase, including, formation of a reputed, international Science Committee to overlook DBAR, establishment of an international secretariat. The DBAR has also successfully established 7 Working Groups and 2 Task Forces with growing international memberships, and a network of 6 out of 8 International Centers of Excellence. 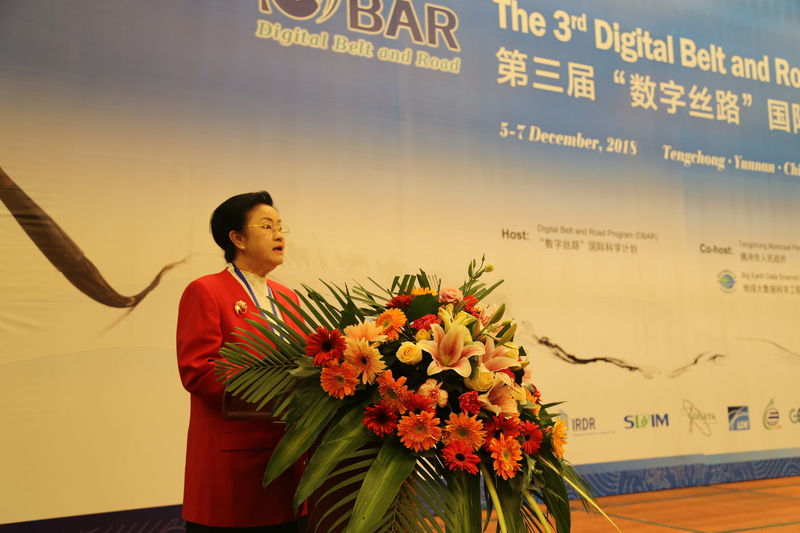 GUO Huadong, the Chair of DBAR, made the opening remarks and delivered a keynote address, titled “Steps to the Digital Silk Road”. He presented the brilliant achievement of DBAR, during it preparatory phase, which include development of a Big Earth Data platform, and multiple researches in different fields of the global Earth system, such as coast, water, environment, disaster, agriculture, heritage, urban areas, high mountain and cold regions, and informed the participants of the next steps planned for DBAR. 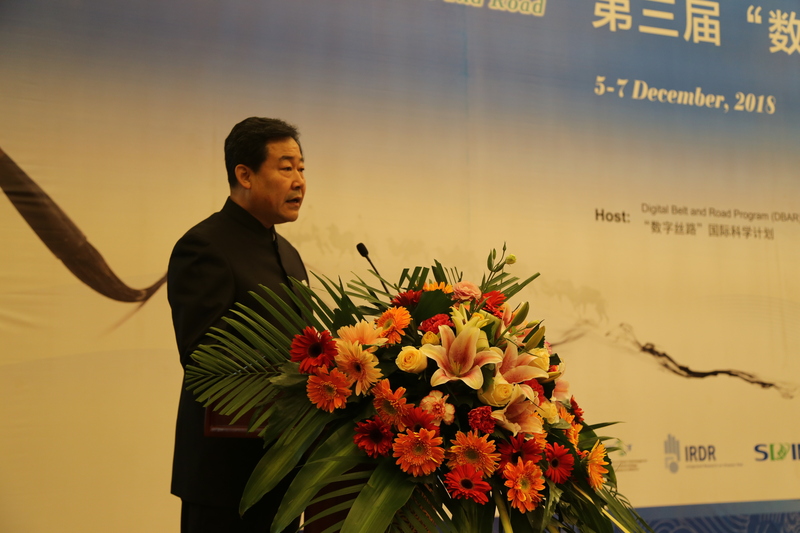 In his remarks at the opening ceremony, expressed that China has begun to work towards its environmental challenges and has started to incorporate sustainability in its development, and desires to work towards shared development with its neighbors, both that are linked to its border physically and even beyond, through routes that have played important role in exchange of knowledge and goods from ancient times to distant past. Representative of the host city JIANG Tao, Vice Mayor, Baoshan Municipal Government, expressed his delight in hosting the event in Tengchong, and explained to the audience that Baoshan, located in western Yunnan province, connects East Asia, South Asia and Southeast Asia, which makes it a vita terrestrial communication hub of the “Ancient Southern Silk Road” Baoshan is characterized with long history, profound culture, rich resources, livable ecology and unique location. He informed the audience that government programs such as “Powerful Baoshan, Happy Baoshan, Open Baoshan, Innovative Baoshan, Legal Baoshan and Beautiful Baoshan” have all been initiated to transform Baoshan city into a center and integrated base for trade and logistics, data storage disaster backup, new material processing, special agricultural product processing, and international regional small commodity processing and distribution at the border of western Yunnan. LI Yongbiao, Vice Mayor, Tengchong Municipal Government, was also present as a representative of the Tengchong Municipal Government. He explained that the International Channel known as the Stilwell Highway has one national first-class port and two provincial channels making Tengchong an important gateway to South Asia and Southeast Asia. He stated that the 3rd Digital Belt and Road Conference is a grand event for Tengchong to further strengthen cooperation and exchanges with the outside world and seek common development. It is also an important symbol for Tengchong's opening up, exchanges and cooperation to upgrade new levels and expand new areas. As the country accelerates the implementation of the Belt and Road Initiative, an economic corridor connecting Myanmar and radiating South Asia and Southeast Asia is gradually taking shape. Alexandre Caldas, Chief of Country Outreach, Technology and Innovation Branch in the Science Division, UN Environment, emphasized on the importance of the science and technology to face the global challenges. He stressed that saving our climate is one of the most pressing challenges of the present times. He expressed that the Belt and Road region has a rich and diverse culture, and programs such as DBAR can work to unite the cultural diversity of the region. Monthip Sriratana, Director, Climate Change Research Strategy Center, National Research Council of Thailand, during her opening remarks, emphasized on key aspects that will be important for the success of DBAR, they include, forging strong partnerships, transparency in use of data and all of its operations, data sharing, and aiming to maximizing benefits of such collaboration and networking. She expressed that the Thailand's Ministry of Foreign Affairs fully support partnership with DBAR because of the promise and potential of the program. Kamal Labbassi, President, African Association of Remote Sensing of the Environment (AARSE), on behalf of the executive council, congratulated DBAR on organizing this important conference. He expressed delight on the partnership that they have developed with DBAR, and expressed hope that the cooperation will lead to concrete action towards common challenges in the near future. He mentioned that Africa is a vast region and therefore satellite information is essential for various aspect of socio-economic development of African Continent. He expressed DBAR is one of the important partners of AARSE who are cooperating towards capacity building in the region. 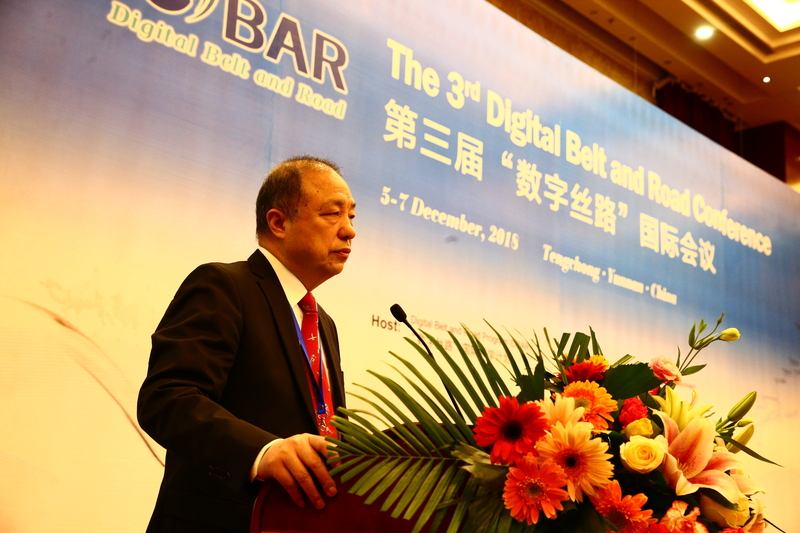 ZHAO Qianjun, Deputy Director-General, Bureau of Science and Technology for Development, Chinese Academy of Science (CAS), expressed that the DBAR conference is an important event for Big Earth Data and international cooperation in science and technology. He believed that these new scientific technologies and Big Earth Data is not only transforming our information and technology industry, but also giving us opportunities to work towards improving ecological environment and support sustainable development, and launching of CASEarth and DBAR projects reflect upon the desires and strategic thinking of CAS to capitalize on these opportunities. He emphasized the importance of data sharing and scientific research towards sustainable development. He hoped that DBAR can help to narrow knowledge gap between developed and developing countries. 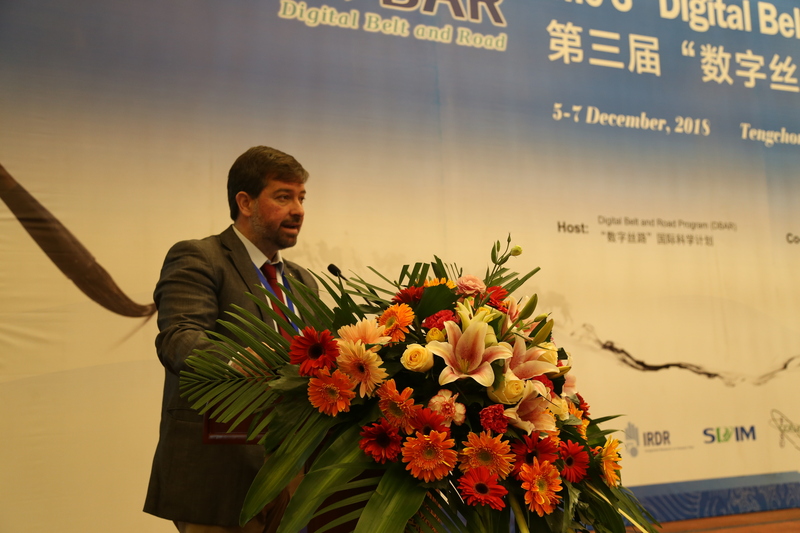 One of the highlights of the 3rd Digital Belt and Road Conference was the launching of the DBAR's Big Earth Data Platform, which aims to achieve “Digital Connectivity and Share Prosperity”, cloud service platform for scientific applications. The platform has the environment of PB level software and hardware platform. It takes the lead in developing the ETL tool set of global big data under the general big data platform internationally; realizes data retrieval, sharing and product visualization of six categories of data, and has been translated into Chinese, English, French and other languages; developed 94 sets of "Belt and Road" thematic data sets on resources, environment, climate, disaster and heritage, 57 categories of independent intellectual property data products and over 120TB of Shared data. The Platform has been developed in response to diverse challenges of the Belt and Road countries including, frequent disasters, water shortages, ecosystem changes among others, and to facilitate sustainable development. One of the motivations to develop this system was to close the gap between data processing, analysis and data acquisition. The Big Earth Data Platform will facilitate research into the challenges of the Belt and Road region, that are complex, by enabling studies that consider the Belt and Road region as a whole, by providing access to satellite Earth observation data, and the ability to integrate it with other forms of Earth observation data, both on surface and below surfaces. The Big Earth Data Platform is being develop with support of CASEarth, will provide scientific context to support decision making and policy development processes in the Belt and Road region. The Big Earth Data Platform will manage and analyze Big Earth Data, support the Sustainable Development Goals, provide information infrastructure and data services. The Tengchong Municipal Government unveiled Academician Workstation. Prof. GUO Huadong recalled the Tengchong remote sensing experiment in 1978, a historic event that marked the take-off of remote sensing in China and started the development of remote sensing in China. He also reviewed the outstanding work done by more than 700 experts led by Prof. CHEN Shupeng, one of China's leading remote sensing experts. With its inauguration, Tengchong has a new platform to facilitate and attract high-end talents and high-level intellectual resources to the city, and is a new step towards the deep integration of Tengchong's “Government-Industry-University-Research”. 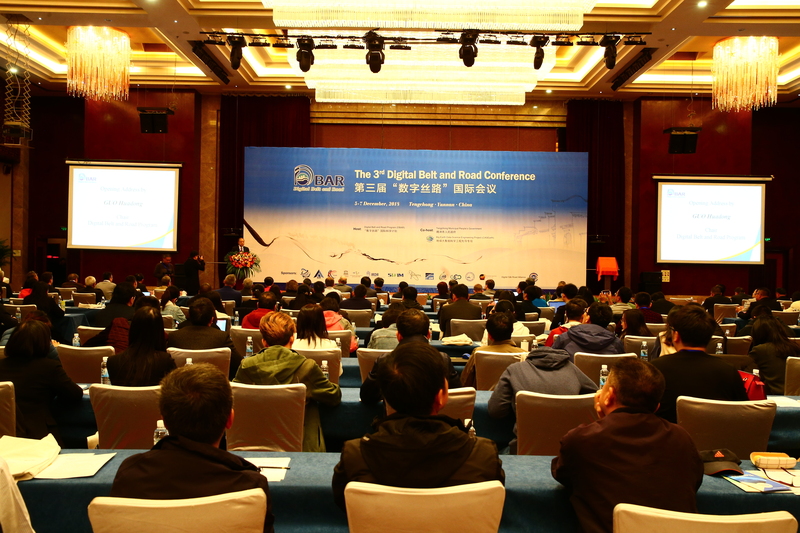 The conference lasted for three days and aimed to highlight benefits of Big Earth Data to facilitate sustainable development in the Belt and road region. The conference hosted international experts, providing case studies and good practices for utilizing Big Earth Data for sustainable development goals. The conference featured more than 180 academic reports such as conference report, penal discussion, session report and poster presentations.